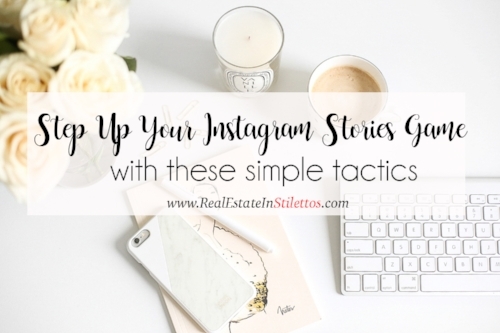 And even though it may seem like such an easy platform to use, so many people are missing out on the true value of what Instagram Stories has to offer. I share a little of my personal life on stories to get my followers comfortable with me being a “real person”. The first thing you have to ask yourself is, why do my followers follow me? What value am I giving to them that keeps them coming back for more? If you’re a blogger, your Instagram reflects you. That being said, posting about a product you currently love or a restaurant you know is really good can be of value t your followers. Ask yourself: WHO you’re posting this for? What segment of your audience does it make sense for? If you can’t find a segment of your audience who cares, then don’t post it. Share a clip about your cat (like I tend to do quite often! ), then share a blogging topic, share a workout hack for getting to the gym more often, share a super great recipe you just made. For sure, it is TRICKY to balance that line between sharing yourself as a brand and giving value to your readers. Every single communication on your IG stories should be valuable and quick. Think about yourself on IG stories. When someone is just talking about something for like 5 snaps, what do you do? Click next, next, next to get through it. If you have something longer to say, maybe Insta Stories isn’t the place to do it. Test out YouTube, test Instagram 60 second video. Try something new with different content formats. If every single day, the only story you post is encouraging me to click the link in your bio and go see your latest blog post, people will stop watching your story. Part of the allure of IG stories is to get to know the blogger behind the blog. I’m not getting to know you if you’re just sending me to your blog. Instead, you can try to share things throughout the day about your life that may revolve around your blog post. I really believe this next part needs to feel NATURAL and ORGANIC. Don’t force something that’s not there. But what really takes an Instagram Stories game from Level 1 to Level 5 real quick is branding your Insta. Create a cute little segment that’s fun and fits with the brand. Give it an actual name. You can create a cute cover story for your series before you start your stories. And you can include any quotes and written tips in between the stories. Be sure to add them to your highlights on your home page so your followers are always able to refer to it. Be sure to let your followers know that you’re not going to disappear for two weeks. Engagement is so important and if it’s lost, it’s hard to rebuild. If you’re not feeling creative and not sure what to story about, try sharing your favourite Instagram accounts of the week on Fridays. I’ve seen a few people doing this recently and I totally love it. So - story away! Be engaged with your followers and always keep in your mind what they would like to see. On the other hand, always view other people's stories and engage in them as well. This tool can be so useful if used the right way!